​Atletico Madrid midfielder Thomas Partey has handed Manchester United a huge blow in their pursuit of the midfielder by reaffirming his desire to remain with Los Rojiblancos. The 25-year-old has struggled to hold down a permanent place in Atletico's starting lineup, prompting rumours that United were prepared to activate Partey's release clause and sign him this summer. However, speaking to ​Cadena COPE, Partey insisted that he does not want to leave the club, regardless of who wants to sign him. He said: "I’ve grown up in ​Atleti and I am sure I will stay here. I don’t know of another place that will understand how I play like they do here." The Ghana international has made 37 appearances for Atletico this season, but has often found himself coming off the bench, leading to rumours that Partey was unhappy with his role in the team. Alongside ​United, ​Manchester City and ​Arsenal are both said to be keen on pursuing a deal for Partey, who has established himself as one of Europe's top defensive midfielders in recent years. United manager Ole Gunnar Solskjaer is said to have identified Partey as the ideal replacement for ​Ander Herrera, who appears to be nearing the exit door at Old Trafford after failing to agree on new terms. ​Metro claim that Partey has a release clause of around £43m in his contract, which will certainly be viewed as affordable by most interested parties. However, his latest comments suggest he is not keen on leaving the club with which he has spent the last eight years. 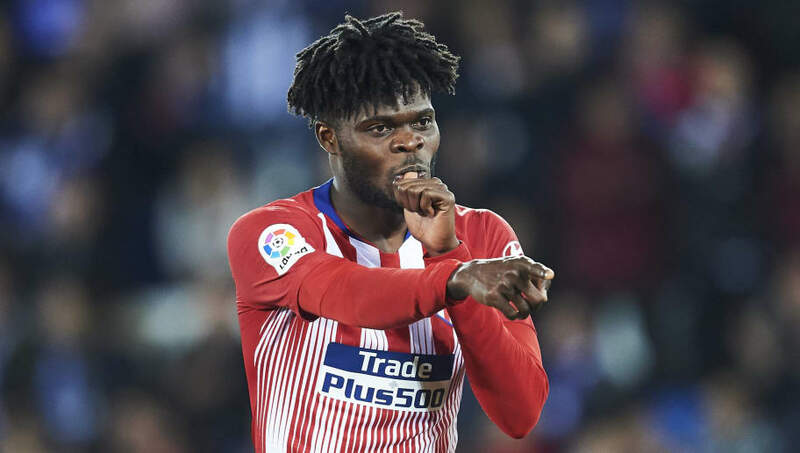 He remains under contract at the Wanda Metropolitano until the summer of 2023, meaning the club will certainly be in no rush to part ways with Partey, who remains a vital member of their squad.